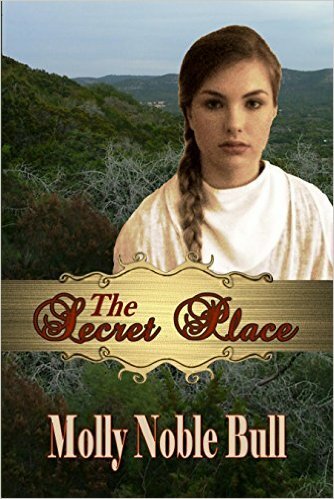 The Secret Place, an award winning historical Christian novel by Molly Noble Bull, begins in France in 1740 with the murder of Rachel Levin’s sweetheart as well as her parents. Rachel flees her French village with her late sweetheart’s brother, Pierre Dupre—a Huguenot, and they take refuge in a church until the military captain responsible for the deaths arrives. The captain wants Rachel as his mistress or he wants her dead. Rachel and Pierre agree to a marriage of convenience and manage to escape. Will they reach Scotland as planned? Or will their lives end on an English countryside? The Secret Place, under the title Sanctuary, won the 2008 Gayle Wilson Award in the inspirational category and tied for first place in a second national contest for published authors that year.